You might find that these audiences quickly become overwhelmed with reading your full executive resume—or that a multi-page document is simply too much to handle in a busy networking situation. The solution? A Networking Resume—a powerful sound bite that encapsulates your career in a single page and gets more traction in your search by supplying a quick picture of your bottom-line brand value. 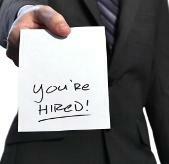 1 – Skip the job descriptions. 2 – Distill your career into just titles, dates, and companies. 3 – Give your success stories a label and some context. 4 – Write a branding tagline that speaks to results. 5 – Sum up your education and board affiliations. Boil your educational background down into just a few lines, using common abbreviations for degrees, states, universities, etc. You’ll also want to cut to the chase on professional associations, speaking engagements, and volunteer affiliations; use the organization’s initials to conserve space; list keynotes with the word “Speaker,” followed by the name of the organization. Now, you’re prepared to give a snapshot of your professional background and executive abilities to recruiters and hiring authorities, without worrying about information overload or excess paper. You’ll still need a full resume for interviews, of course, but your new Networking Resume can serve as a value-packed, concise introduction to decision-makers.